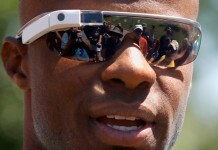 As wearable technology becomes more and more ubiquitous it has to, by that very definition, become smaller and smaller. That means figuring out ways to decrease the size of chipsets that have remained mostly static for the past several years. After all, we can’t have a humongous microchip peeking out of our smart scarf or whatever. On that note, there has been something of an arms race to see who could create the tiniest chip set for use in wearable and mobile devices. 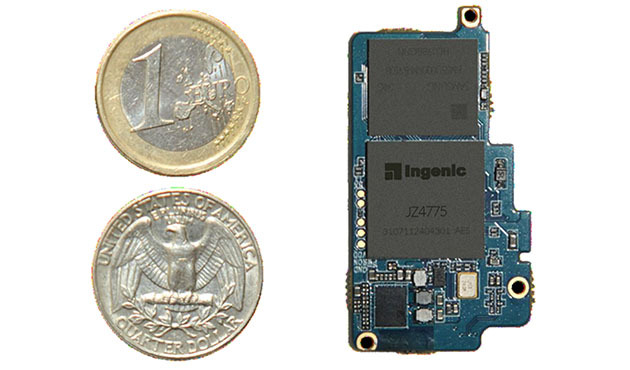 Here is another one, which has been rumored to be powering the forthcoming Android Wear line of wearable devices. It’s being made by a company called Ingenic, who are no stranger to making microchips, bits and blops(wait.) They are calling this chipset Newton, and conveniently ignoring Apple’s embarrassing foray into naming stuff after the guy who discovered gravity. They are teaming up with a company Imagination Technologies to create the chip-based platform, which, if rumors are correct, will be powering many devices on the forthcoming Android Wear line of wearables. 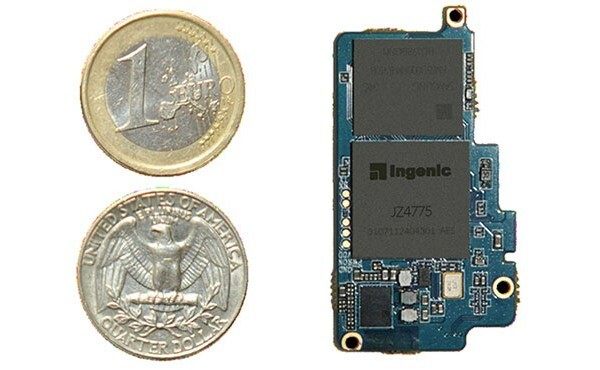 It’s tiny, no larger than a quarter, and has quite the CPU.It also has other features, like support for up to 3GB RAM, 720p video, WiFi, Bluetooth 4.0, NFC, MEMS sensors, health care sensors and USB support. Of course, this stuff may still be a whiles off, but not too far. After all, items in the Android Wear line could start releasing to stores as early as this summer.